The Pokemon spin-off game is free to download, but contains in-app purchases. Android users also have the option of pre-registering for the game. 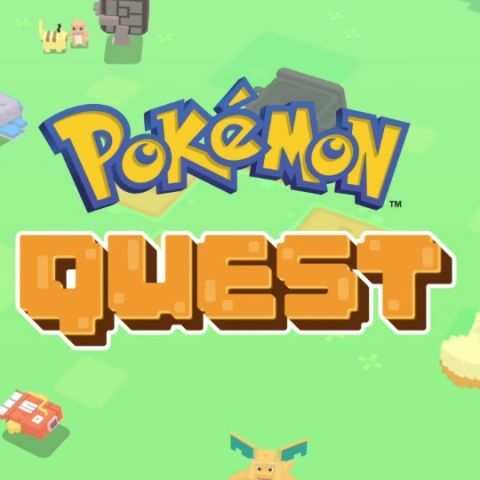 The mobile release date for the new Pokemon spin-off game, Pokemon Quest is now official. The game will be available on Android and iOS from June 27 onwards. Android users also have the option to pre-register. The game is free to download, but contains in-app purchases. It should be noted that while the game is already available for the Nintendo Switch, the saved data from that version of the game cannot be transferred to the mobile version and vice versa. Described as a “rambunctious expedition RPG,” the game will see you control cube-shaped versions of the first generation Pokemon games (Pokemon Red and Blue). Hopefully, Pokemon from following generations will be added overtime. The goal is to find secrets hidden on Tumblecube Island. Like previous Pokemon games, players create a team of pokemon to accompany them and battle wild Pokemon. Besides Pokemon Quest, Nintendo also unveiled two other pokemon games called Pokemon: Let’s Go Pikachu and Pokemon: Let’s Go Eevee. Both these games will be available for the Nintendo Switch from November 18 this year. Further, the new new games also come with support for Pokemon Go, and allow user to transfer any Pokemon from the Kanto region that they had caught from the app. Pokemon GO might be spying on you! Speaking of Pokemon Go, Pokemon Quest developer, Game Freak must be hooping to not only replicate the viral success of Niantic’s mobile app, but also hold on to its player base. To recall, Pokemon Go was massively successful during its initial launch. However, there was a sharp decrease in players as the months progressed. However, Niantic has continued to support the game by releasing new Pokemon, items and adding new features.